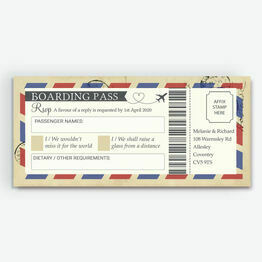 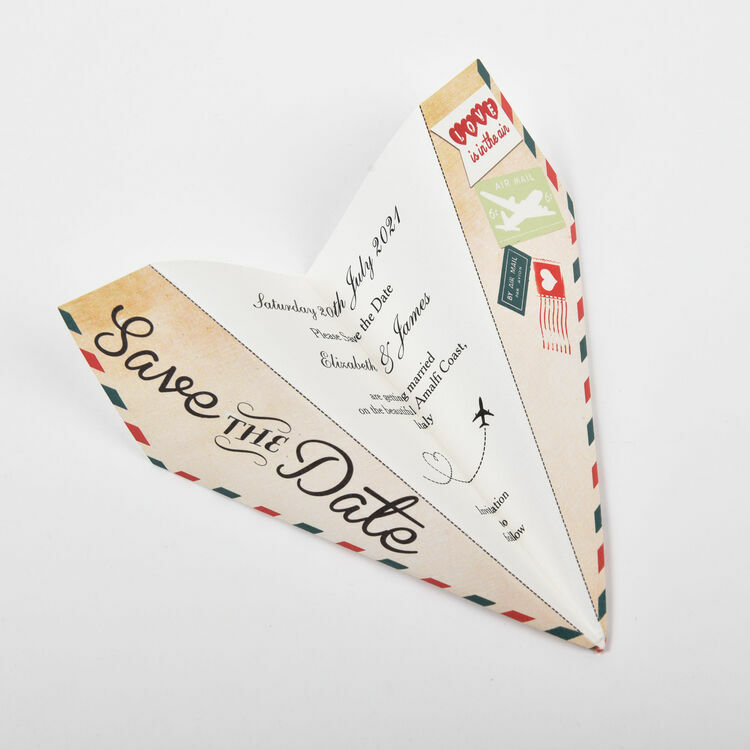 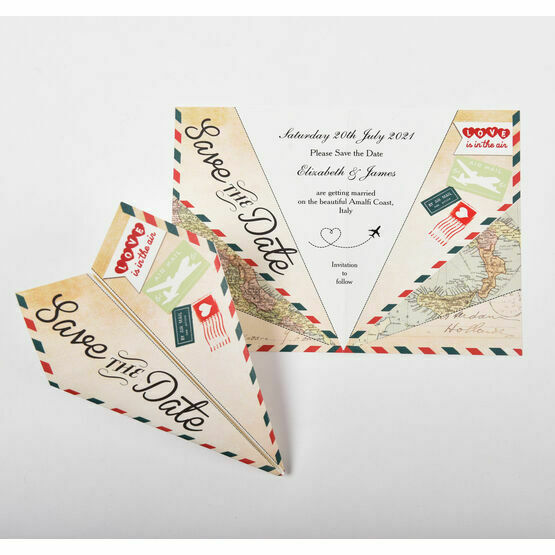 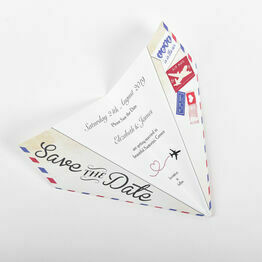 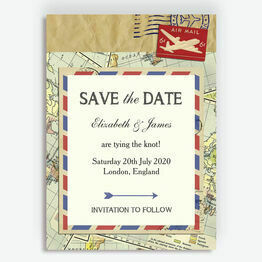 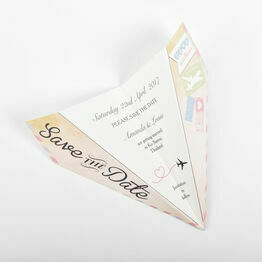 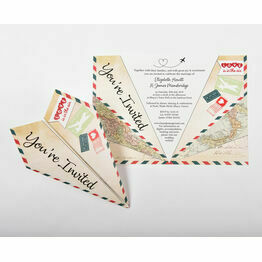 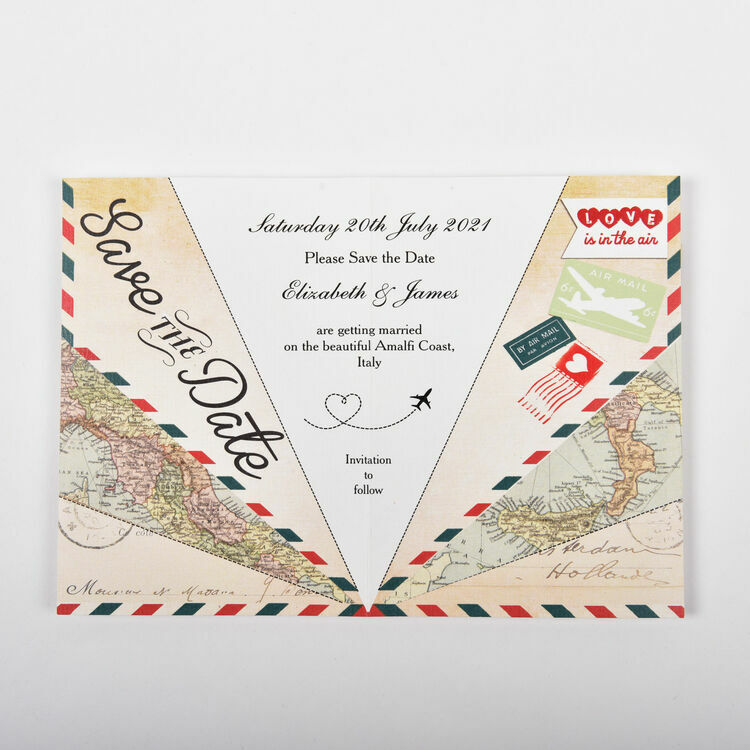 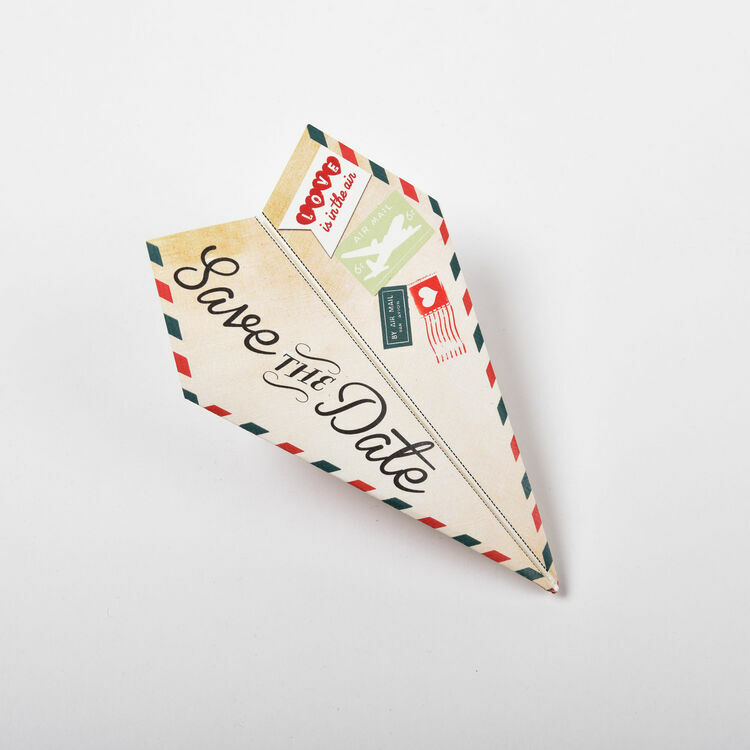 Help guests get excited for your wedding day in Italy with our fantastic paper airplane save the dates. 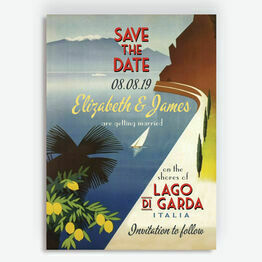 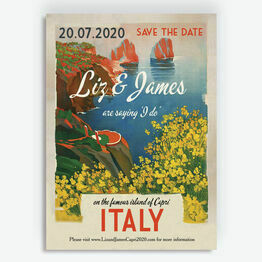 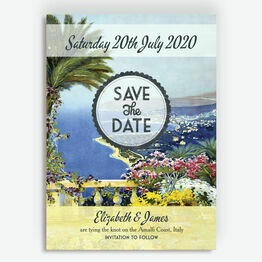 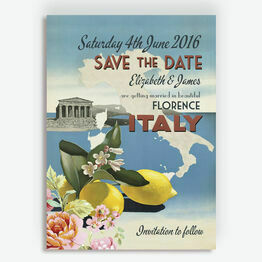 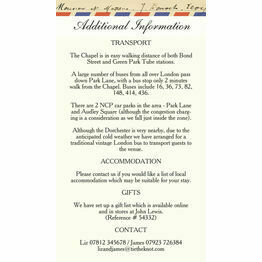 Created in the Italian colours of red, green and white, these cards are designed with vintage-style airmail and postcard details, with plenty of space to add the initial details guests will need for your planned destination wedding in Italy. 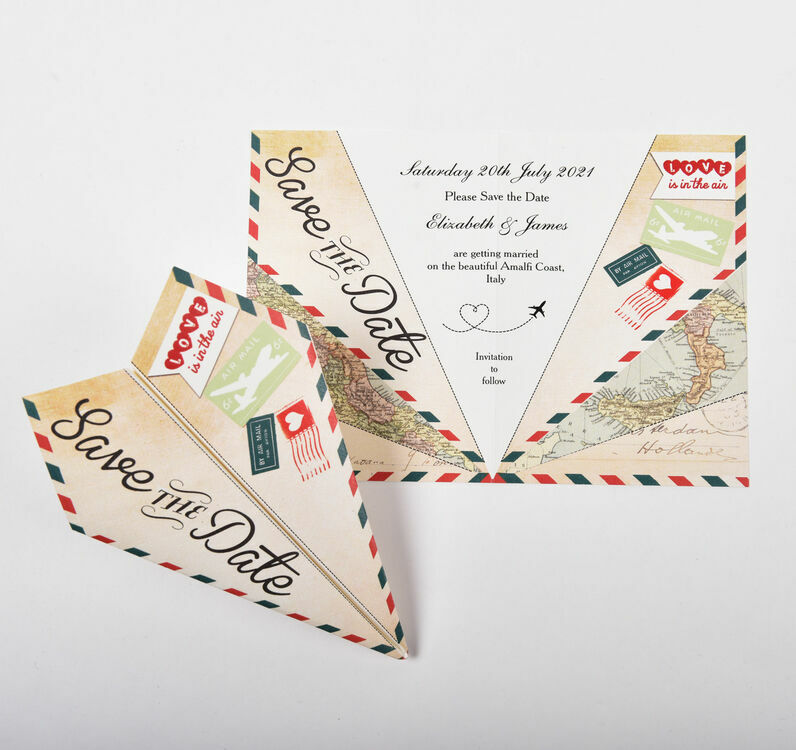 With easy-to-follow fold lines, these save the date cards can be folded before you send them, or you can let guests do it when they receive them.